Pustak Ka Vivaran : Isme aaye hue vishayo ka theek theek adhyayan kiya jaane par paralok tatha punarjanm me evan karm phal bhog ke siddhaanton me vishvaas badhana aanivaary hai aur us vishvaas se patan pravaah me kisee ansh me kuchh rukaavat aana bhee sambhav hai. yadapi patan ke pravaah ka veg itana prabal aur bhayaanak hai kee choti moti baadha se…………. 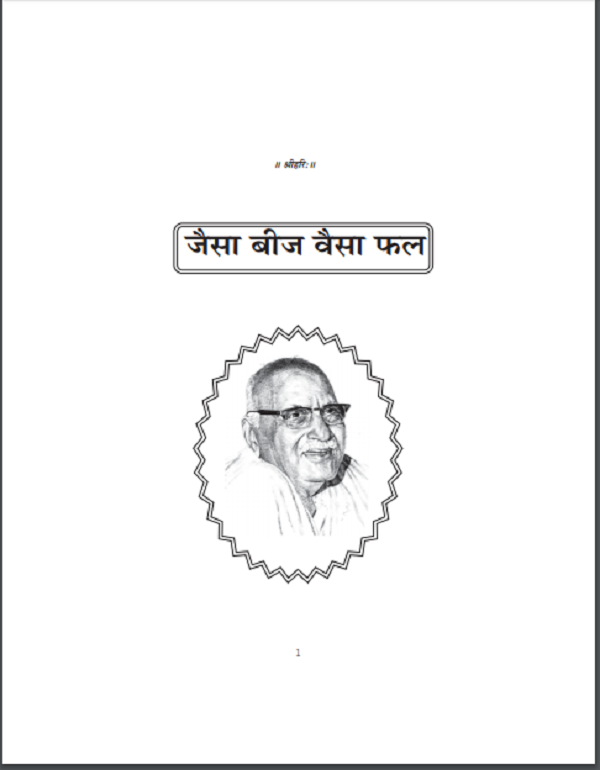 Description about eBook : It is essential to increase the belief in the principles of Parlok and Reincarnation and Karma fruitful indulgence when studying the subjects covered in it and it is possible to have some obstruction in some part of the flow from the belief in the Fall Flow. If the speed of the fall of the fall is so strong and terrible that the peak of the pearl…………….